Mitch Kowalski discusses the future of law and the changes he sees in the legal landscape. Peter Aprile and Natalie Worsfold interview Mitch Kowalski, author, advisor and innovator in the global legal services industry. The group discusses Mitch's newest book, The Great Legal Reformation: Notes from the Field. Natalie, Peter, and Mitch talk candidly about law firm financing, outside expertise, Alternative Business Structures, regulatory requirements, technology, and legal education in Canada. 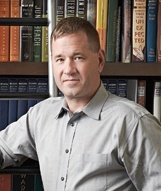 Mitch Kowalski was recognized as a Fastcase 50 Global Legal Innovator in 2012, and he is the author of the critically acclaimed American Bar Association best-seller, Avoiding Extinction: Reimagining Legal Services for the 21st Century. Mitch is a regular contributor to Financial Post, Legal Post. As a former in-house counsel, and partner at one of the world’s largest international law firms, Mitch provides a seasoned and unique perspective on the redesign of legal services delivery – one that is sought-after around the World. As a visiting professor at the University of Calgary Law School, he researches/teaches innovation in the global legal services market. Mitch is also the Principal Consultant at Cross Pollen Advisory. 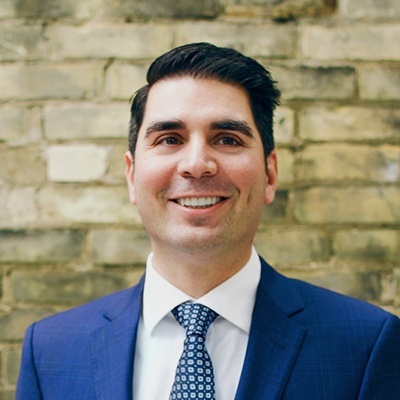 Peter Aprile: [00:13] Hi, and welcome to Building NewLaw ‑‑ Canada's first and only CPD-accredited podcast. It's hosted by me, Peter Aprile, and my colleague, Natalie Worsfold. Sponsor: [00:41] The Building NewLaw Podcast is supported by Counter Tax Lawyers, a new type of tax controversy and litigation law firm. To learn more about Counter, go to countertax.ca. Peter: [01:01] Today, we're interviewing Mitch Kowalski. Natalie: [01:10] We're interviewing Mitch because he's a thought leader on legal innovation. He's a great writer and he isn't afraid to speak candidly about the changes in the legal industry. [01:18] In 2012, Mitch wrote the ABA best seller, Avoiding Extinction: Reimagining Legal Services for the 21st Century. Mitch also writes for the Financial Post legal column and he teaches a great class at the University of Calgary that's called Law 2025. [01:31] It helps students to understand some of the changes that lie ahead. Peter: [01:35] Mitch has a new book called The Great Legal Reformation. We invited him as he talks to us about his new book, his class, and of changes, he sees in the legal landscape. [01:43] Here's our interview with Mitch. Natalie: [01:49] Mitch, thanks so much being with us today. I wanted to get started by asking you to tell everybody a little bit about your new book. Mitch Kowalski: [01:56] Thanks very much and I'm happy to be here. The book really is about what's happening now, the legal profession being in a huge upheaval, what I call The Great Legal Reformation, which is a time where people are questioning what lawyers are doing and why they're doing and how they're doing it. [02:14] There's tremendous pressure from clients. There is pressure from technology solutions. There is pressure from a new generation of millennials who are saying, "Hang on a second, not that excited about being partner at your firm. Got anything else?" [02:27] It's really a time of upheaval. That's what the book is about, my travels to a number of law firms who, I think, have really started to get it figured out and what we can learn from those firms. Peter: [02:39] Who's the book written for? Mitch: [02:40] The book is written for a new generation, so law students, to say here's the world you are going into. Here's some examples of firms you may want to work for. [02:53] And to a generation of lawyers who are saying, "I'm really unhappy with where I'm at. I don't know what to do." Here are some examples. [03:03] And three, existing law firm management who are saying, "Gosh, I don't know how long this will last but I know what to do. Give me some direction. Help me out." So, that's the audience. Natalie: [03:16] And for anyone who hasn't read the book yet, it is a little bit of a different type of book in a sense that it is mostly interviews with people who are practicing a different way or doing things a little differently. What made you choose to pursue an interview format? Mitch: [03:29] I like doing things differently. I didn't want to have the standard business book. I didn't want to have a textbook. The previous book was a narrative which is a novelization kind of style. I just like to think out of the box and how to present materials in a way that will not only provide some information to readers but more importantly entertain them. [03:49] And so, I always liked travel books ‑‑ Bill Bryson, Paul Theroux. Love that kind of style. So I thought, would that work in a legal book? And so the readers will tell me, I guess. Natalie: [04:01] You paint a very, very vivid picture of everywhere you go. So, I absolutely love it. I think it will be a huge hit. We're always really huge fans of stories, of people actually doing something. [04:12] I think what I really enjoyed about reading your book is you've gone and met these people. You've asked them what they're doing, how they got there and that sort of thing. How did you choose the people that are in your book? Mitch: [04:23] I'll continue to flag about this because there will be always law firms who will send me an email and say, "Why wasn't I in the book? We're like super innovative. And clearly, you didn't do your research." Mitch: [04:36] But that's the price you pay when you write anything is people are going to have comments on it. There is a ton of things going on in what I call the legal innovation fog. [04:47] And trying to separate what's real, what's hype because the law firm hype machines are very good at what they do. And also, in trying to parse that out, I was looking for some longevity. So, if you just start trying to do something last year, great. But it's only been 12 months, not that exciting. Talk to me in three or four years. [05:10] All of these firms have been around for years and years and years doing what they're doing. So, there is some connection, I believe, between longevity and success, in longevity and something that people will look to and say, "That's worked for you in five to six years, maybe that's something I should think about tweaking in my firm." Natalie: [05:29] So, are they reaching out to you or are you reaching out to them? Do they just happen organically? Mitch: [05:34] No, it's all me, I just tried to make sense of what was going on and who would be good to speak to at a number of different levels. So, there's some big firms in there and there's some small firms. And then there's the nomadic lawyers, and then there are more traditional firms, and there's management services firms. [05:51] So, I tried to give a good cross‑section of what's going on in the environment at different levels. Mitch: [05:59] And internationally too. Natalie: [06:00] UK, Australia, or like everywhere? Mitch: [06:07] [laughs] Salvation Army. Natalie: [06:07] absolutely no idea that it existed. It's a wonderful story. Mitch: [06:11] It's a wonderful story especially if there's anybody from the Law Society of Upper Canada is listening to this podcast because that's something that the Law Society in Ontario and across Canada and in United States are grappling with this concept of lawyers only should own a law firm. And, the concern is really about people who are not lawyers are ethically bad. [06:33] And so, therefore, we can only trust lawyers with it and here's a model which says, "Well, we're trying to help people, and so, we're designing a firm that has a charitable purpose to it, so why would that be bad? And, our Law Society in Ontario still can't get their heads around." That kind of a concept. So, it's an important information that needs to be out there. Natalie: [06:55] Absolutely. Now, quite a few of the firms spoke to you. Actually, under that alternative business structure, one of the big themes kept coming back to you was the idea that you need outside capital to make something like this work. Mitch: [07:07] It's not just a capital requirement, it's outside expertise, which has a close shop law firms just can't access. And that's going to hold them back in the long run. Peter: [07:17] Why do you think they can't access it? Mitch: [07:19] Regulatory requirements. So, non‑lawyers, which is a terrible work. Mitch: [07:27] are not permitted to own a piece of a law firm profits. They're not allowed to control or manage those at a true level. There are lots of law firms that will have CEOs or CFOs, but they still report to a managing partner. So, that holds firms back. Natalie: [07:57] Yeah, Hunoval Law. I loved the fact that they had partnered with Lean Center, so that they can have their own course and get everybody green belts and Lean Six Sigma. And those kind of partnerships and not outside expertise really drives home for lawyers to change and to adapt in the great legal reformation. We're going to have to work as a team and find these outside sources. Mitch: [08:17] Hundred percent, law as a team, sport as a theme that I also hope comes through in that, where lawyers are an important piece of the puzzle, but they're not the whole puzzle. So, how do we build a machine around that concept and understand that lots of different people bring lots of different strengths and benefits to legal services? [08:37] So, how do we put it all together in a way that makes sense? Natalie: [08:41] And out of all the people you interviewed, do you have a favorite example of that? Mitch: [08:45] I don't play favorites. Mitch: [08:48] I really enjoyed writing the book. I enjoyed meeting the people that I met, and I thought they all had very good stories and good ideas to share. To me, that these people were willing to go beyond traditional law and say, "How do we put things back together in a different way and not be consumed by the fact that lawyers have to do it all?" And so, that to me was very interesting. Peter: [09:14] You have a pretty sophisticated knowledge of the legal market. You have your hand on the polls, you know who the players are. What did you see that maybe you didn't expect to see when you started this journey? Mitch: [09:24] I guess, what I didn't expect to see was...If you look at Riverview Law, in particular, really morphing from a very interesting and innovative model of service delivery using people, to now really becoming more digital and more technological. And so, I think what shocked me was how fast this technological drive is going in some of these firms. [09:53] And really, them seeing technology is the secret sauce to how they're going to move forward and how they're going to provide better services. Peter: [10:01] And you don't see that in Canada? Mitch: [10:03] You really don't. Even North American firms, there's a lot of tinkering, there's a lot of..."Yeah, OK, we have this product that we prepared, we'll use it for bankruptcy clients only, but for the rest of the firm we'll just keep muddling along." [10:17] So when Susskind talks about in the future of the professions, where they talk about this whole concept where technology is just going to snowball and become more and more important in driving legal services, I think that really hit home for me. Natalie: [10:32] Was interesting when you touched on process there, one of the messages I took from the book is, yeah, technology is absolutely going to get you to grow exponentially once you're ready for it, but until you sit down and figure out your processes, technology is not useful to you. Mitch: [10:47] Correct. The greatest quote in the Hunoval chapter was when Kevin Devine, who was their Six Sigma person, said, "Look, there's no point having technology if you don't understand the process the technology is supposed to assist." "[11:00] So, if you're just going in there to slap technology into your firm, or your business or whatever, that's a complete waste of time and money." And it was interesting to follow his story where he's saying, "OK, you want technology, but what process are you trying to enhance?" [11:14] And then you start mapping it out and saying, "Actually, sure technology will help, but if you just put the pieces together in a different order that also helps." I think that gets lost in a lot of firms who just say, "We have to have, AI." Mitch: [11:27] I don't really know what AI is. I don't know what AI will do for me, but everybody else seems to be talking about it and that firm says they have it so we better have it, just so we can put it on our brochure. There's a lot of that misaligned thinking and lack of strategic direction. Peter: [11:45] The reality is, it's easier and it's sexier. Nobody wants to talk about ripping apart a process, that is hard work and not something that is easy to engage in. Mitch: [11:54] But it also steps on a lot of toes. Mitch: [11:57] Because when you go in and say, "We'd like to transform," the reality is, when you start going to talk to groups within the firm and saying, "Let's work with your department," there is, amongst several, who will say, "I'm already doing everything right. I've been practicing for 25 years in commercial real estate law, do not even begin to tell me that I have my processes wrong." [12:20] So it's a difficult, it's a delicate thing that you have to do and that's why, from a leadership perspective, that has to be driven top down. You can't have a managing partner in a firm saying, "Hey, 2017 is the innovation year. You guys go out and innovate, right." Mitch: [12:36] We're going to hire an innovation person who has no authority whatsoever and has no trust or anything built up amongst people," why would anybody listen to them? [12:48] So unless you have a leader walking the talk day in, day out, with the appropriate people down the line all walking the talk, day in and day out, and moving the firm, having those delicate discussions, saying, "We're not saying you're wrong, we're just saying, we think we can improve and this is better for you and let's all work together." Natalie: [13:06] There was one section in your book, where they were saying that basically everybody there was a believer. And it was a question of, is this is bit cultish after a while. Mitch: [13:15] [laughs] Yeah, actually that could fit with a number of firms, but I think Geoff Wild said it best when he talked about Invicta Law, where he said, "I don't hire for skills. I can train skills. I'm hiring for attitude, I'm looking for people who believe in where we're going to go, because that is something that I can't teach you." Mitch: [13:37] You either believe it or you don't, and to bring someone in who's disruptive to the team, that's not good for me." I think that is an important take away. Law firms don't do that. They hire for skill. It's all about the skill. Are you the smartest person in your law class? Do you have the biggest book of business? [13:54] Etc., and attitude falls second. And that I think will start to hurt law firms. Natalie: [14:02] There was a really interesting comment in the book from Riverview Law where they said that basically they're reaching a point where they're hoping that all their highs are organic. It all comes from within from the next five years. [14:13] Culture is so important and if you've grown in Riverview's culture, clearly you're going to be empowered and just lead from there. Mitch: [14:20] A hundred percent and there are a number of firms who are like that, culture and getting that fit right, it's the future. Peter: [14:29] When does it get released? Peter: [14:32] And where can people get it? Mitch: [14:34] Oh yeah, you can get it on Indigo or Amazon. It'll be online, I don't think it's in the bookstore, but you just order it online. Peter: [14:41] And you said September 29th? Mitch: [14:42] September, middle of September, yeah. Natalie: [14:44] We hope you are enjoying the podcast. We want to take one minute to tell you about a new segment that we're adding to the end of each episode. 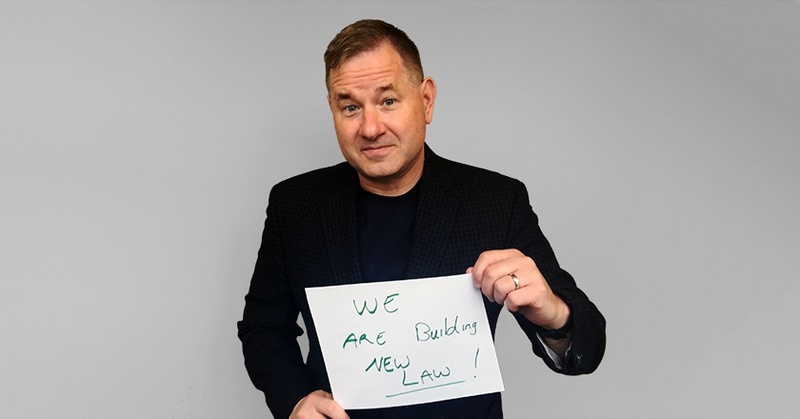 It's called I am Building NewLaw, and it gives you the opportunity, to share what and how you are changing the practice of law. Peter: [15:03] So if you're building a new law firm, legal tech company or product, we want you to record a message and tell us all about it. Natalie: [15:08] Just go to countertax.ca/iambnl, click on the voicemail button and tell us what you're building and why. Peter: [15:15] And now back to the show. Mitch: [15:26] Woohoo! University of Calgary Law School, shout out to everybody out west. Natalie: [15:29] [laughs] So you're teaching these skills to people? Mitch: [15:33] Yeah, our course is, because it's only one course, it is pretty much a survey course at this point, if saying, here's the direction the market is going, here are the skill sets and we're going to give you tree tops of different skill sets and where things are going. [15:47] So that at least when you walk out the door, as a student from University of Calgary Law School, you will understand what's ahead of you and you can plan accordingly. [15:57] So you're not going to be blindsided five, six years from now and you say, "What, I didn't know any of this thing was happening, I should have been spending the last five or six years building other skills and doing what have you." Peter: [16:07] What's interesting is that you talk about culture and fit all of that stuff, so I can tell you from our side of the table, if students don't understand the direction of the market or aren't interested in that way and don't have some knowledge base of it. [16:20] Whether they get it from taking your course, or reading Susskinds' book, or whatever, if you're sitting across the table from us and are completely naive or unaware of these things, we're not going to hire you. Mitch: [16:32] The interesting thing about your comments, Peter, were, you guys are out of the box. You get it. When students come back and talk to me that they've tried to have these conversations with larger firms in this country, they said the interview is complete stumped. [16:47] They're like, "What are you talking about? All I want to talk about is, your marks and how great our firm is how our lawyers are so great and we're doing work for a lot of great clients." So you see that divide where students who are going to more enlightened firms like yours, say, "Yeah, this is great," and they get really excited about it. [17:06] Where they go to traditional firm, and those firms really don't know what's going on. Maybe a few people on the management committee know what's going on, but certainly the interviewers are completely stumped when you ask those kind of questions. It's an interesting dynamic to see. Natalie: [17:21] How's the reception been to the course in general, are people pumped? Mitch: [17:24] There's a trajectory, in the course. You have to remember it's an intensive course, so it's three weeks, they see me every single day, for three weeks. Mitch: [17:33] Including Saturdays. So the first few days of the course, they're like, "Dude, what are you even talking about?" Mitch: [17:42] But by the end of the course, it's more, "Oh my God, I'm going to start Slater's in Calgary tomorrow." You see that whole story arc going where they don't get it, then they're like, "Oh, oh, wow," and then they get really excited. [17:57] And then, of course, they go to interviews at a large firm. And the interviewer goes, "I don't even know which document." That doesn't matter. Just shut up and pound lots of hours for the next five years. That's the dynamic in which we live. Peter: [18:08] So what's causing people to sign up then in the first instance? What do you think is piquing their curiosity? Mitch: [18:13] It could be we get the course over in three weeks. Mitch: [18:17] I would like to think that they've read the short description and said, "That looks interesting. I don't really know too much about it, but it sounds cool. And it's not law, so we're not talking about cases and trying to tease out what this means for the charter and all those kinds of stuff. It's real life." [18:33] So I think that's the starting point. And they walk in the door, and I start throwing stuff at them. Their brains really have to stretch out and then they start to go with the flow. Natalie: [18:43] And is this something that you're offering outside of the university at all? Mitch: [18:56] It's a little far away and January in New Zealand. It's going to be hard to make the transition because Toronto in January is really where I want to be, but yes. So, there's a university in New Zealand, Waikato, who we're just finalizing the course. [19:09] And then whatever other universities are interested in doing this, I have a couple other discussions I'm having. So it's going to be a little bit of a traveling show. Whether or not I can package it into a digital format, I've been playing around with it. We'll see how it goes. I have to get my head around how to make that really work. Natalie: [19:28] You made an interesting point in your book about ROSS, obviously ‑‑ AI company from Toronto ‑‑ and the fact that the development of this amazing product happens here in Toronto. [19:36] But the University of Toronto is not as involved in it as you might expect. It didn't come from faculty or anything. Mitch: [19:41] From the law school, yeah. Natalie: [19:43] We've got a great law school here, and you'd expect the two of them go hand‑in‑hand. I guess I'm always concerned that universities haven't quite seen the shift in the nature of what they need to be teaching. Mitch: [19:53] I think that's a very fair comment. You need a very enlightened dean and you need faculty who are gradually warming to this idea. Because don't forget, law schools are very much like law firms. [20:08] It doesn't matter how progressive your dean is. If you have a faculty of tenured professors, they don't really have to toe the line. If I've been teaching contracts and family law this way for 25 years, please don't tell me that we should be changing it up and using technology and all the stuff that I don't really know and I don't really care about, because this is the way I teach family law. [20:28] So that dynamic that you see in law firms is also present in law schools. So you need those alignment of stars where you have a dean, you have some inline faculty, and they see a future for it, and they're willing to go along with it. And that's not always possible. Natalie: [20:45] But unlike you said, you need the students as well. Right? Mitch: [20:47] Yup. I think the students are easy because they don't know any difference. So you're only going to take family law once. So you're going to go, "Well, I'm going to take family law, because it's interesting, and I want to know something about family law." [20:57] You're not going to think too much about how exactly the course is taught, and then you're never going to take it again anyway. So that student dynamic, I think, is less important than the dynamic amongst the dean and the faculty members to say, "We have a chance to really be different than any other law school, and that's where we're going to find our competitive advantage." [21:16] Because we're never going to be U of T. We're never going to be Osgoode. We don't have to be because we provide something they don't. Peter: [21:23] Is that what Ryerson's going to do? Mitch: [21:28] That's pretty much exactly what Ryerson is going to do. Peter: [21:29] And Ryerson has a history of that, right? Mitch: [21:31] As a university as a whole and if they do that for a law school, it'd be interesting to see how that shifts that market. And the interesting thing about Ryerson is they're starting from zero. That's a huge benefit to law schools. [21:46] It's like, "OK. I don't have a faculty, so now I select my faculty based on believers and so that my road is now smoother going forward. And I don't have any legacy problems, so it's much easier to start." Peter: [22:03] I'm going to start preparing my resume. Peter: [22:06] We are part of your Legal Innovators Round Table. And there's a lot of believers in that room and probably a lot listening to this podcast. I'd be interested to know, what do you see the believers getting wrong? What are the believers missing? When you look at all these folks, where do we need to improve? Mitch: [22:24] To a certain extent, this is where, hopefully, my book fits into the picture, is that we've done enough, I guess, throwing darts, for lack of a better word in saying, "They're doing this wrong." [22:35] And so now, the time is to shift the folks and say, "Here's some really good ideas that are really working well. And how do we help you get to some of these ideas and move it away from a less critical aspect to a more, 'This is really exciting.' Wouldn't this be exciting for you?" And maybe shift in that direction. [22:57] And I think Canada needs more entrepreneurial‑type law firms who are really going to push this along. And I think it's easy to dismiss innovation in Canada, because there's not a whole lot going on. [23:14] There's some interesting things going on obviously but nothing that is going to shift the market dramatically. And so we have to find a way to shift the market by either creating some more things or helping build the ones that are there or somehow convincing, through gentle maneuvers, larger firms to move in that way. Natalie: [23:34] We talked about the book and we talked about your course. What do you see as a message that you want people to take away from either reading your book or taking your course? Mitch: [23:45] The core message really is that lawyers are an important piece of the puzzle, but they're not the entire puzzle. And if we start thinking in terms of teams and the other skill sets that are important to a legal services business, I think we're better off as lawyers. [24:03] And I think clients are also going to get much better service from legal services providers as well. Peter: [24:09] So we're believers and we see a lot of the things that Mitch was talking about. So what did you get from Mitch's book that you didn't have before? Natalie: [24:24] I learned new things about new firms. He interviews such a broad range of people. People I've never heard of. I really love the Salvation Army story. I thought that was fantastic. [24:33] He's also got a law firm in there that grew out of being owned by the equivalent of a municipality. So now, Kent County in England actually owns a law firm that's producing revenue. [24:44] There is a really interesting tales of success, which I think is nice to hear, and it gives a positive message that people are on the right path, and it can work. Peter: [24:52] What I really liked was the partnership idea, so law firms partnering with other types of businesses like the Lean business. Natalie: [25:00] That was a really great story. And it's things like that I think we do need to see more of here. And you don't have to be an alternative business structure to partner with somebody to have a course. Peter: [25:11] We haven't done that before. Peter: [25:16] So that's what threw me off actually in speaking with Mitch, is I understood him to say ‑‑ and maybe I'm wrong ‑‑ that the lack of the ABS model in Canada was preventing a lot of this from happening, which I don't know if that's the case. [25:30] I certainly understand and believe and agree with that capital injection. And if there isn't a capital injection, what that means for law firms in Canada and the disadvantage that they may be at. [25:38] But I still don't think that that prevents those other types of partnership that are just as valuable, if not more valuable than any other changes that could happen. Natalie: [25:47] But it's interesting. One of the things that crops up in his book is the common theme of having a board of directors and having a lot of people outside of the legal industry on that board to give you the expertise that comes from a fresh set of eyes and a broader experience and things like that. [26:01] My structure as it is right now, you can still have that board of directors, whether they're coaches or something like that. I agree that there's nothing stopping you but what I think is, as always, it comes back to that mindset, which is the lawyers have to do this. I've been told lawyers do this best like stick with it kind of thing. Peter: [26:18] But even with the board of director's idea, Mitch says that because of the ownership structure and because the CEO still has to report to the managing partner just because of the way the ownership structure is that Mitch seems to believe that that is going to be a barrier to law firms adopting these more innovative practices or changes. Natalie: [26:40] When I heard him speak, I thought of it more in the sense of it's harder to attract that kind of talent when you can't offer them shares and ownership. And that's how I looked at that. Peter: [26:49] We still really think that there isn't a way around offering allied professionals profit in a law firm equal to ownership in a way that complies with the Law Society Regulation like, "Really?" Natalie: [27:02] We're lawyers. We'll find a way around it. You don't think it's a mindset problem still? Peter: [27:07] Yeah. It might be a mindset problem. But nobody's done it because nobody wants to do it, not because the Law Society Regulations prevent it. Let's put it that way. Natalie: [27:15] I guess this is one more barrier that's in the way. It's like, "Oh, I couldn't possibly attract the best CEO or something like that because I can't give him shares in my company. So why would he ever come here?" Peter: [27:25] And so even in the tone of what you're saying supports what I'm trying to communicate, which is this is just a convenient excuse. Natalie: [27:32] I want more people to be taking Mitch's course. I want it to be in all of the law schools. I think it's a really valuable message. Peter: [27:39] Candidly, I'm disappointed. So I'm a graduate of Queen's Law School and I'm disappointed that Queen's doesn't have something like this or isn't banging Mitch's door down to say, "Yeah, do a three‑way course here." I expect more from my alma mater. [27:53] So I asked Mitch what the believers are getting wrong. What do you think the believers are getting wrong? Natalie: [28:01] Yeah. It always comes back to...And I guess part of the reason I like Mitch's book is he's gone out and found people who have executed. I love being around people who are excited and see the future in a much more positive, opportunistic manner. But at the same time, I need to see more people doing things. Peter: [28:17] Peter Carayaiannis, who ran the last Legal Innovators Round Table, basically drew down the gauntlet and said, "All this positive energy is great, but I want to see a lot more execution from the people in this room." And I think that that is a fair statement and challenge. Natalie: [28:31] It would be interesting when we stop back up again in the full, who's going to show up and have something that they can talk about and point to and say, "This is what I did." Peter: [28:39] Are we going to have anything? [28:40] Peter. Now, we have come up with something. Natalie: [28:43] Have you not been thinking about this? Peter: [28:45] Not specifically for that purpose. Peter: [28:47] But now, I am. 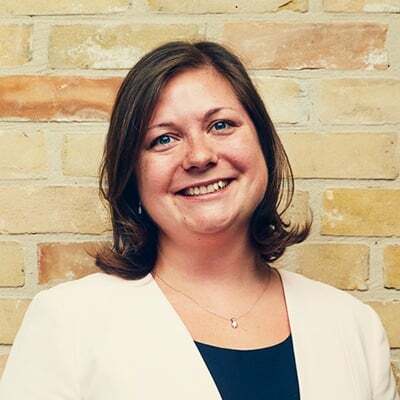 Natalie: [28:51] For this episode, show notes and transcript and how to satisfy your Law Society CPD requirements, please visit our website at buildingnewlaw.ca. [29:05] We'd love to hear from you. And if you have any feedback, feel free to send an email to info@buildingnewlaw.ca or come and find us on Twitter @buildingnewlaw. Don't forget to subscribe on iTunes, our website, or wherever else you get your podcasts. Sponsor: [29:19] Thanks for listening to the Building NewLaw podcast, brought to by Counter Tax Lawyers. To learn more about Counter, go to countertax.ca. Lawyers that have completed the S02E10 BNL CPD cam claim a 20 minute Professionalism CPD credit. To access the S02E10 verification examination click this link.